family and friends at the lake and doing other things, and that’s ok. Everyone should embrace the opportunity to spend time to with the family away from work. But when an area 10th grader blasts his ignorance when asked what Memorial Days to them …”To party and get out of school.” I feel the need to make sure that people keep a little perspective. 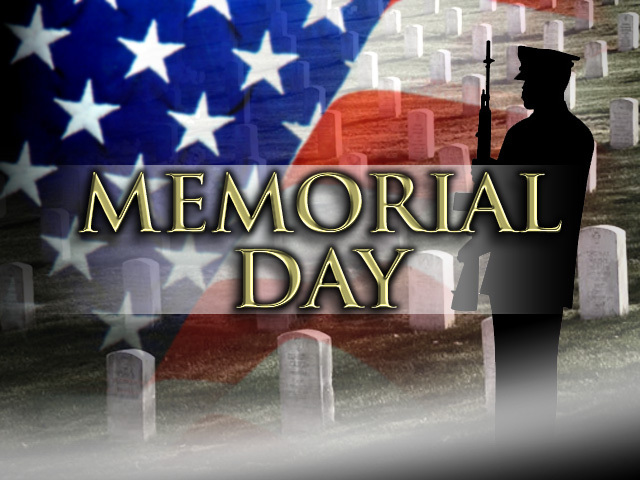 Memorial Day is about remembering those who have died in service to their country. It’s not about the day off, or the family. It isn’t even about the veterans, those who have served or are serving now. It is about those who died. So please, at some time during the day, do your somber duty as free citizens of the United States and say a small prayer or give some thought to those who gave us our freedom with theirs. Give up some time while you are at the lake or the BBQ or just relaxing on the couch. Think about those men and women who gave up all of their tomorrows so that you and I could enjoy ours. Thank you to everyone who read what I have to say and know where I am coming from. Semper fi. Happy Memorial Day.